The Federation of Small Businesses (FSB) has elected a Perthshire business leader as their new operations director to head up the group’s UK-wide operational management and member organisation. The results of FSB’s volunteer elections were announced at the organisation’s Annual General Meeting this week with Gillian MacEwan elected to the position of Operations Director. Ms MacEwan runs Dunkeld Nurseries with her husband, and has been in business in the area since 1999. A former FSB Non Operational Director, Gillian runs her own business alongside her husband and two sons. She has been an FSB member for 20 years. Gillian MacEwan said: “It is an honour to take on the role of FSB’s Operations Director. The Operations Director role was contested by four candidates. 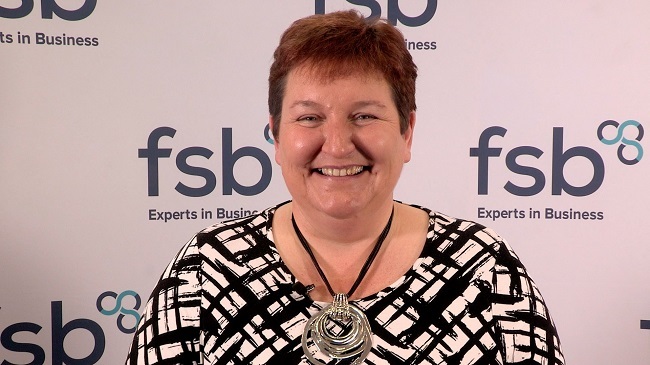 Gillian has held branch and regional positions at FSB for many years. She became heavily involved as an FSB volunteer in 2008 in order to help rebuild her local Perth and Kinross FSB branch. Other roles have included Regional Secretary for North East Scotland and most recently as a Non Operational Director on the FSB board. Volunteers Alexis Lay and Terry Lockwood were elected to the position of Non Operational Director. National Chair Mike Cherry; Policy and Advocacy Chair Martin McTague; and Commercial Director Dave Stallon were all reappointed uncontested.